This mid-week Premier League match day is characterized by upsets, mixed feelings but more importantly, an unexpected bundle of entertainment for the league. Kevin de Bruyne was lucky to have escaped a sending off; and Manchester United’s perfect run under Ole Gunnar Solskjear was halted by, surprise surprise, Burnley! Man City and Chelsea lost, the latter suffering a 4-0 defeat at Bournemouth – their second heaviest defeat in Premier League history, the first was in 1996. Chelsea have now managed a solitary win in their last four league games, an unimaginable run that has the 2017 champions level on points with Arsenal but out of the top four and a distant seven points behind third-placed Spurs and only two points behind a rejuvenated Manchester United. All of a sudden, there is a contest again. Chelsea conceded all four goals in the second half and as proof of his displeasure; Maurizio Sarri reportedly had a 50-minute closed-door meeting with his players’ right there, at the stadium, without any member of the backroom staff. Man City, meanwhile, succumbed to a 2-1 defeat at Newcastle despite taking the lead through Sergio Aguero’s 24-seconds goal; marking Pep Guardiola’s 100th league game with an unwanted defeat at on a tricky venue. Of the top six sides, only Arsenal and Tottenham Hotspurs won; the former needing Gabonese forward Pierre-Emerick Aubameyang’s penalty deep into the second half to break the deadlock before sealing a 2-1 win over relegation strugglers Cardiff City who still have to deal with the unexpected and particularly tragic demise of Emiliano Sala, the Argentine forward whom Neil Warnock had so much trust in to turn their season around. Spurs, on the other hand, need this win which came despite trailing Watford for large spells. Son Heung-Min, who had only just returned from representing South Korea at the Asian Cup, pulled the north London side level before Fernando Llorente scored the winner three minutes from time. Spurs had been knocked out of two domestic cup competitions in four days prior, prompting an uneasy atmosphere and anything short of a win would have been a disaster. Well, they will be thankful they avoided one on a very rare matchday. Advantage Liverpool? Not particularly. 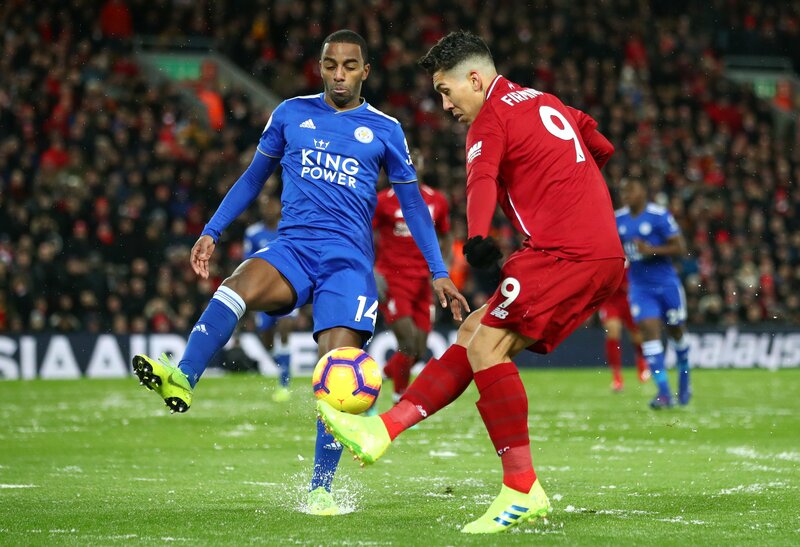 Not even the extra point gained in the 1-1 draw at home to Leicester will please Jürgen Klopp who would have preferred to take full advantage of Man City’s earlier slip, instead Liverpool, just like City blew, failed to convert the numerous opportunities that were presented, in the end, Harry Maguire’s goal proved decisive. Should the Leicester defender have been on the pitch long enough to draw the Foxes level at all, let alone scooping the Man of the Match award? Yes. Admittedly Mane could have been racing at goal with two touches, but at the time the English defender committed this foul, sending the defender off would have been cruel and unfair on the defender. Like every side managed by Pep Guardiola, City are a very consistent side which is why Klopp will be livid with his players for failing to take full advantage of the rare opportunity and an invitation to take a breather. For the first time this season, Liverpool drop points against an opponent outside the top six, but it came at the worst time imaginable. Liverpool now holds a 5-point advantage over City and 7-points over Spurs; they aren’t home and dry anymore and with 14 games left the Kops need to remain as consistent as City or they might watch in anguish as another league title slip from their grasp.